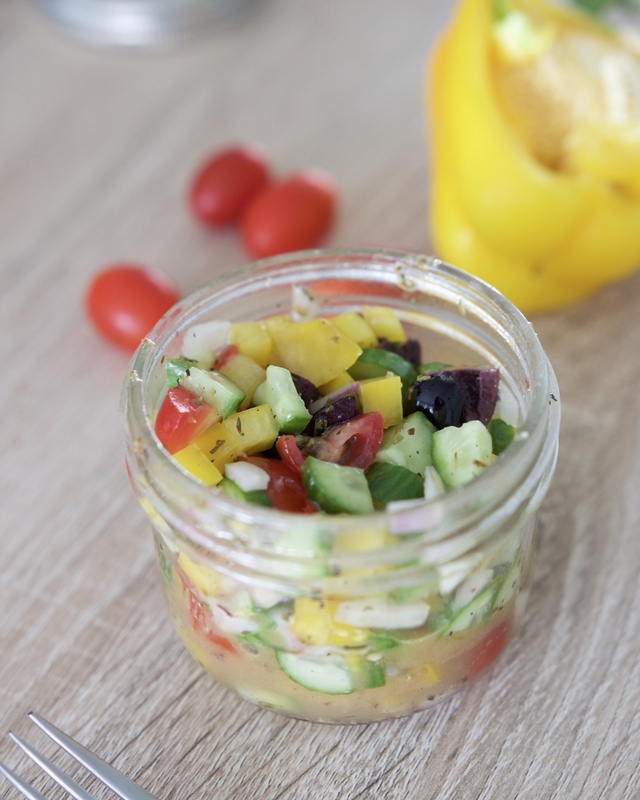 This Mini Mason Jar Greek Salad makes the perfect on-the-go snack. Throw it in your lunch bag or store a few in the fridge for quick snacks or even side dishes with dinner. If I had to choose a favourite salad, it’d be Greek Salad (minus the feta, though, although feta is delicious). I love how fresh and crunchy Greek Salad is and I also love vinegary vinaigrettes. And I had a thought. Why not create a miniature Greek Salad for when you’re feeling peckish? 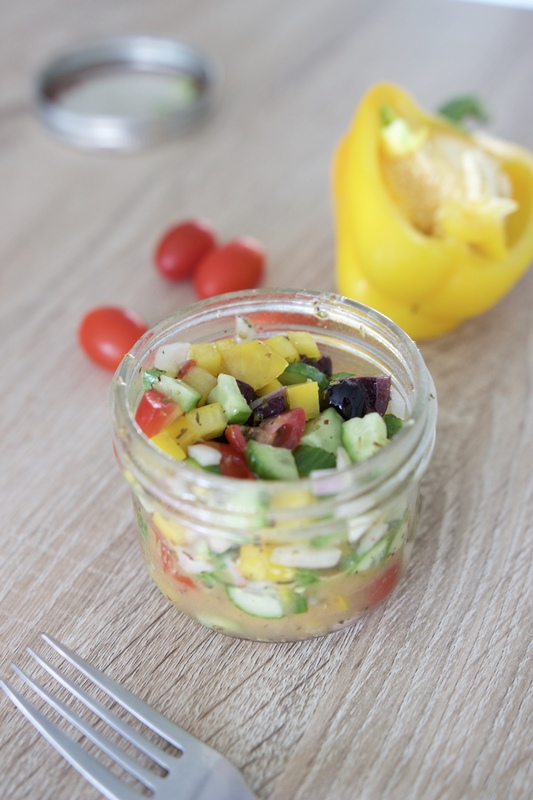 This Mini Mason Jar Greek Salad is super quick to throw together and just as easy to store in the fridge for when you’re in need of a snack or ready to pack your lunch. You just need 1 jar and a handful of fresh ingredients, and you’re good to go. I recommend doubling or tripling this recipe and storing it in multiple mason jars for a few days for easy snacking or lunch packing. 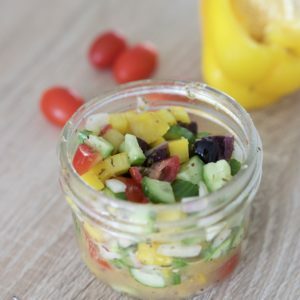 A quick and easy Greek Mason Jar Salad for easy snacking on-the-go or a side dish with dinner. Add dressing ingredients to mason jar, tighten lid, and shake until combined. Dice up all veggies into small pieces and add to jar. Shake a second time until all veggies are evenly coated. Eat straight out of jar! Store in refrigerator for 3 days. You can make a large batch of this recipe by doubling or tripling the ingredients and storing in multiple mason jars for a few days in the refrigerator for easy snacks. If you had to choose, what’s your favourite salad? Tag me on Instagram @meghanlivingstone if you make this recipe!